Our scientists found that more than 4 in 10 UK cancer cases could be prevented largely through lifestyle changes. Information like this is vital to help people make changes that will stack the odds in their favour and reduce their cancer risk. From studying how cancer develops, to identifying risk factors, our researchers are working hard to ensure more people survive cancer. 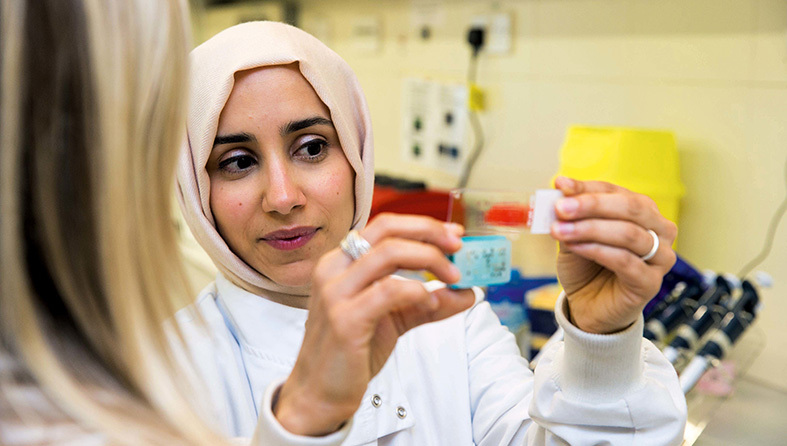 Thanks to research, we’ve helped people understand more about how cancer can be prevented and how they can reduce their risk of developing the disease. Meet people like Kath who have experienced first-hand how our research is making a difference. The life-saving research we do wouldn’t be possible without your support. Want to find more information about our research or cancer prevention?